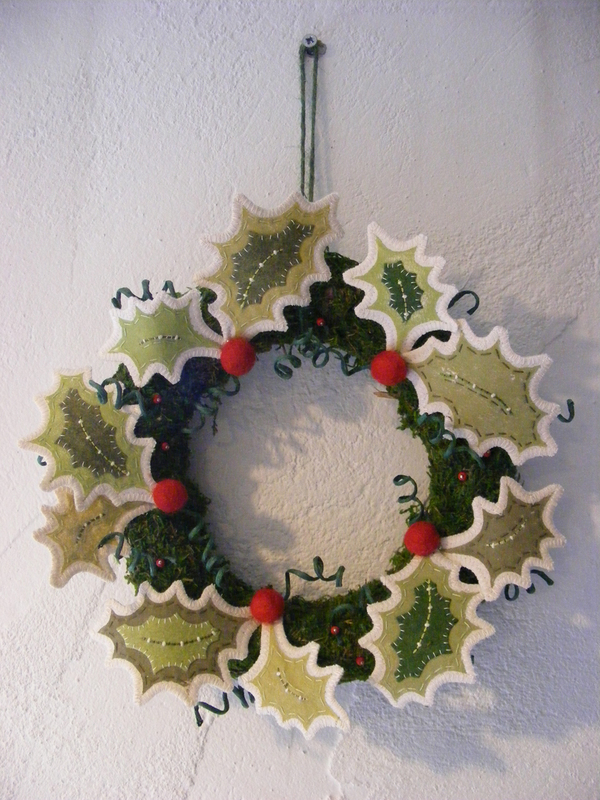 On this workshop you can choose to make a Christmas or an Autumn wreath. There will be a selection of Holly or Oak leaves for you to purchase from Louise, which have been lino printed onto fabric in various colours. You can then embellish these with woolfelt, threads, beads, etc….. whatever you fancy! Your embellished leaves will then be used to decorate a wreath along with any other embellishments you wish to add.